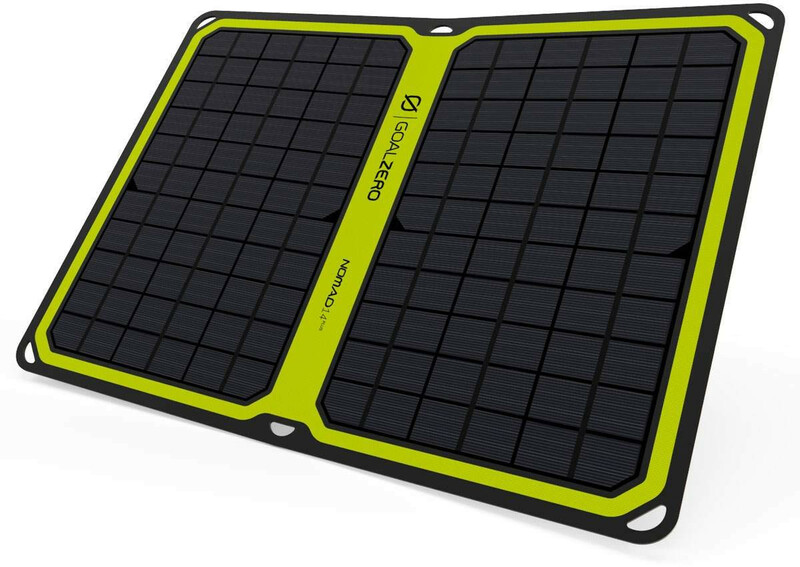 The Goal Zero Nomad 14 Plus Solar Panel features a 14-Watt panel reengineered to be lighter and smarter and has the innovative technology to charge USB devices directly from the sun. 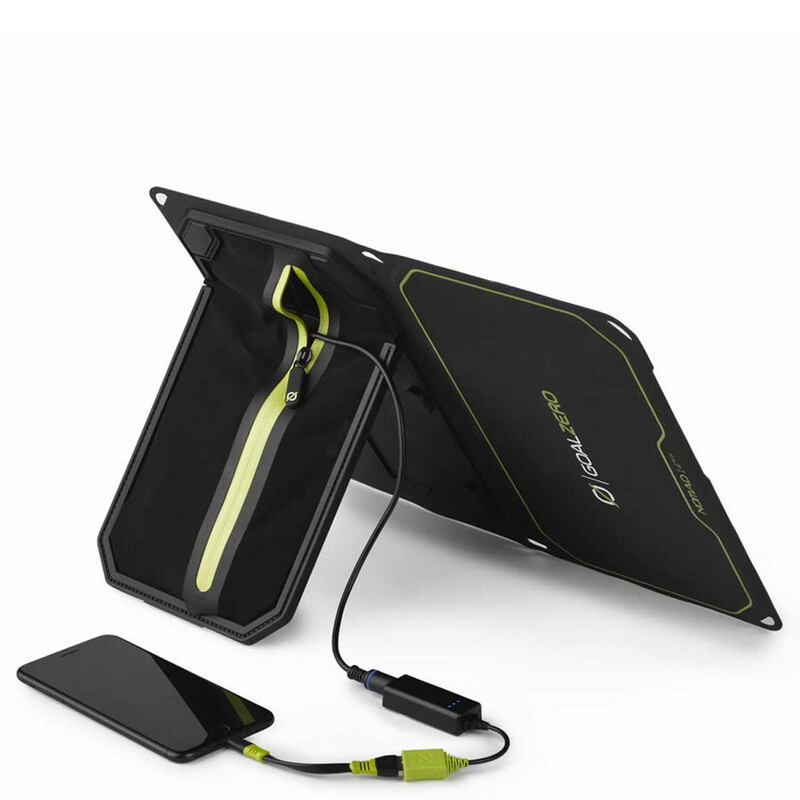 Detachable kickstand for modularity and power-flow indicator ensure the best solar charging experience. Smart Charging for Phones and Tablets - Features a dynamic auto-restart and smart electronics to charge phones, tablets and other USB-powered gear directly from the sun, even in cloudy conditions. Solar Intensity Indicator + Junction Box - Take the guess work out of charging from the sun. Easy-to-read LED indicator display strength of solar conditions and provides immediate feedback on the speed of charging. 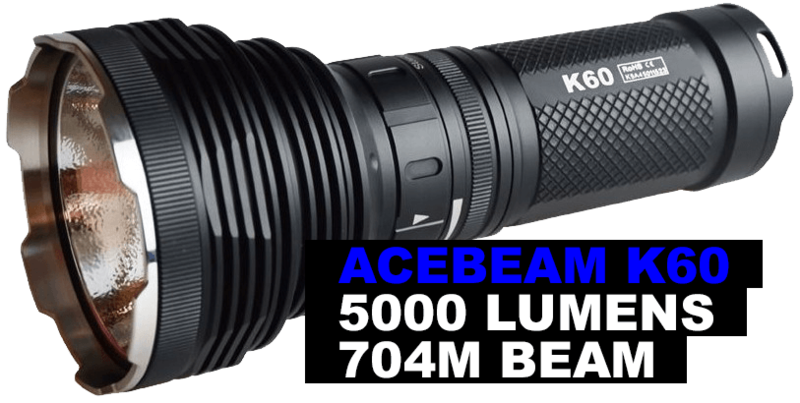 Waterproof and Modular Rugged - Waterproof construction means power without worry. Removable kickstand provides optimum angle placement toward the sun. 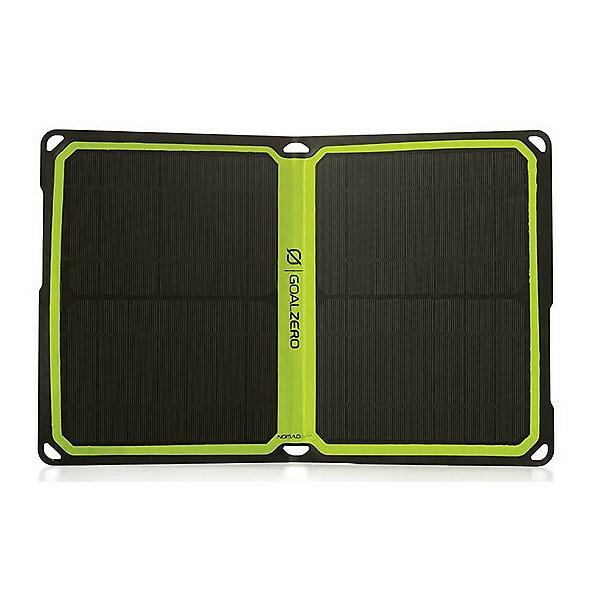 Auto Restart - The Nomad 14 Plus features an auto restart that’s smarter than anything else on the market. 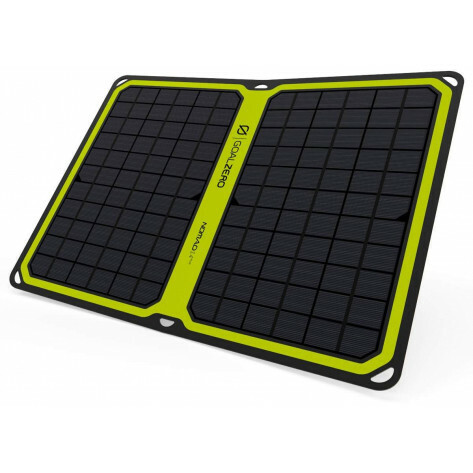 With the ability to track power flow history, the Nomad 14 Plus knows the difference between a device that has reached a fully charged state and one that disconnects due to environmental causes, i.e. lack of sunlight, shadow, etc. When the latter is detected, the Nomad 14 Plus will automatically reconnect the charging device, no extra work on your part is needed.